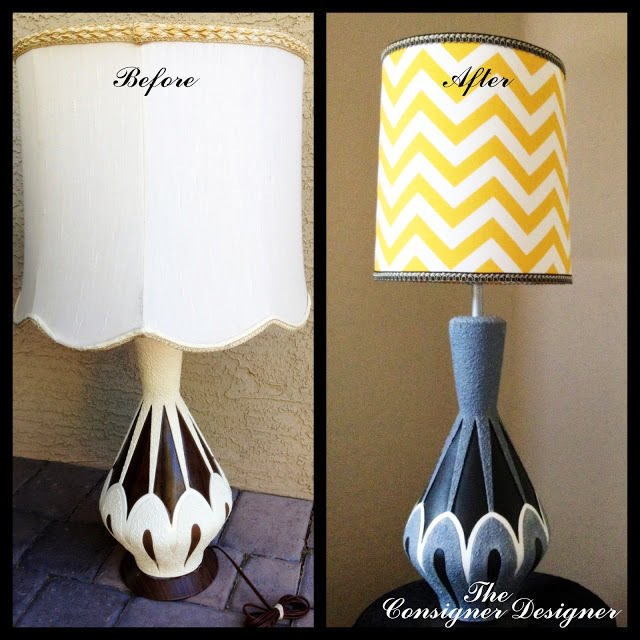 A very nice lamp makeover helped me see the light of this lamp. The original site is no longer active. Here is the full post. Happy Monday my friends! I hope you all had a relaxing and restful weekend! Or for all you DIYers, home improvers, decorators and designers out there, a productive weekend! It all started when I found this lovely little light. Well, she is not so little and she’s not so light. 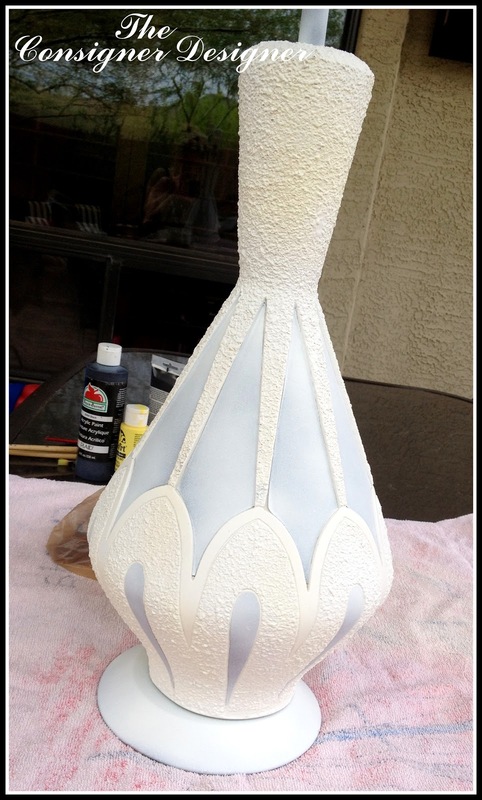 She measures 33″ from top to bottom and is made out of ceramic! I immediately fell in love with her lines. 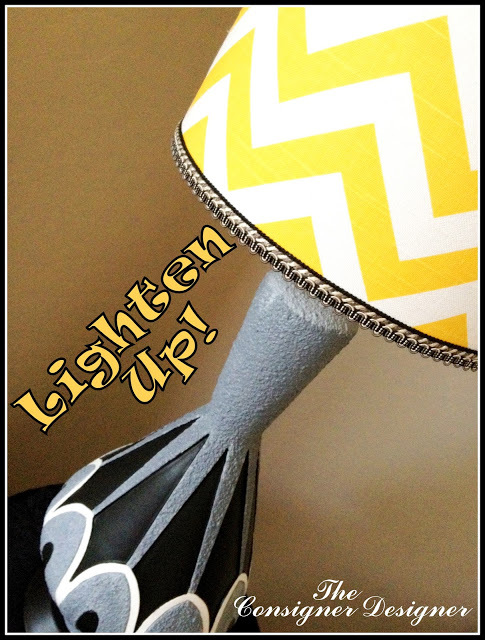 Her style and color, not so much, and I felt the lamp shade was a tad on the big side. Let’s face it, it is straight out of the 70’s! But I knew I could bring her into the 2000’s! I started by getting rid of the lamp shade. I didn’t get rid of it entirely, I kept it for some “future” project. You never know!! I put a coat of primer on the body, the base and the bulb stem thingy. I am sure it has a technical name but I don’t know what that is?! I put a plastic bag around the cord and taped it at the base. It already looks better! 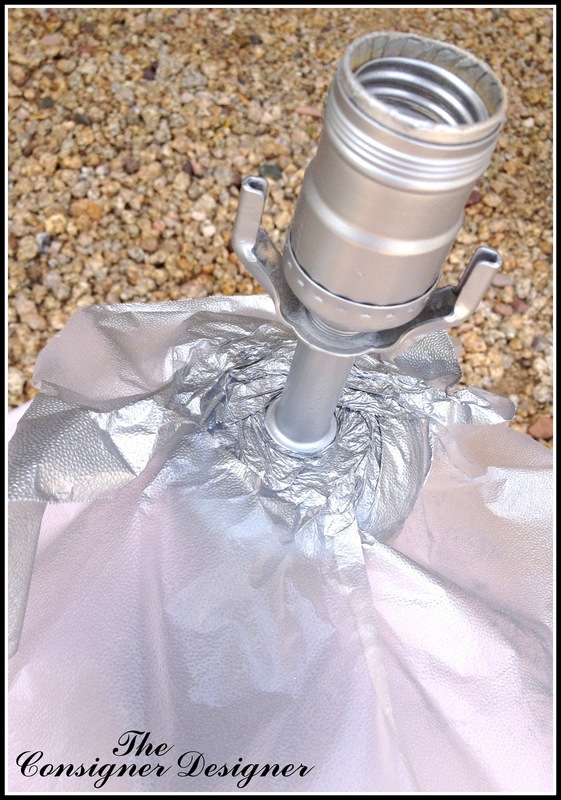 I then used Glad Press n’ Seal around the top of the lamp, so I could spray paint the bulb stem silver. This stuff worked great. I could get up really close to the edge and not worry about spraying the lamp! Once the spray paint and primer were dried. 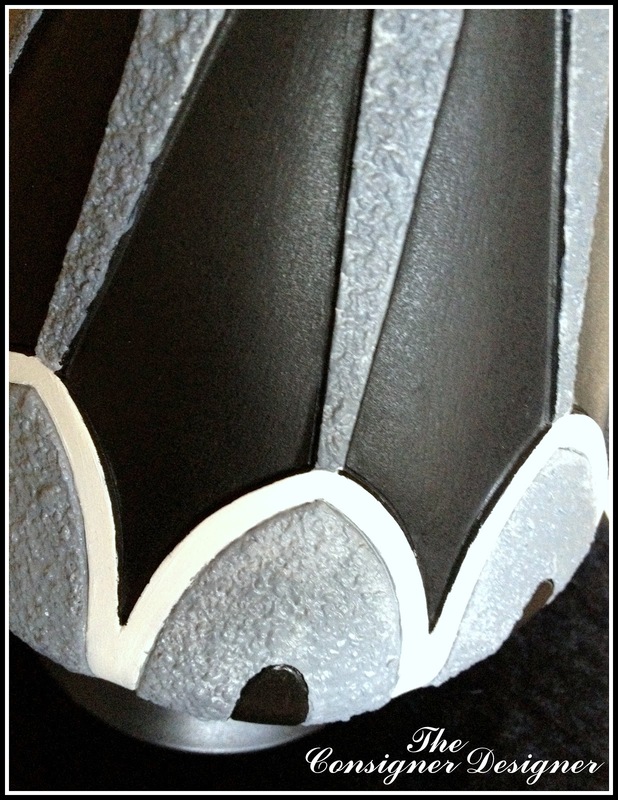 I continued to paint the body and base in black, white and grey. I loved the way it transformed instantly!! The next step was to figure out the lamp shade situation. 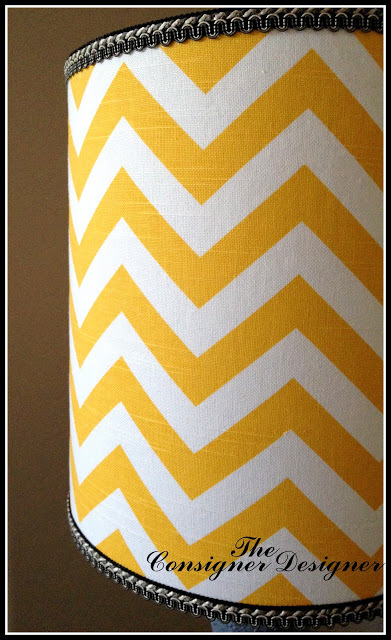 I found a Self-Adhesive lamp shade online from Hobby Lobby. It measured 4″x11″x7.5″. I then found my dream fabric on Etsy. I ordered 1/2 yard! It was the perfect amount. 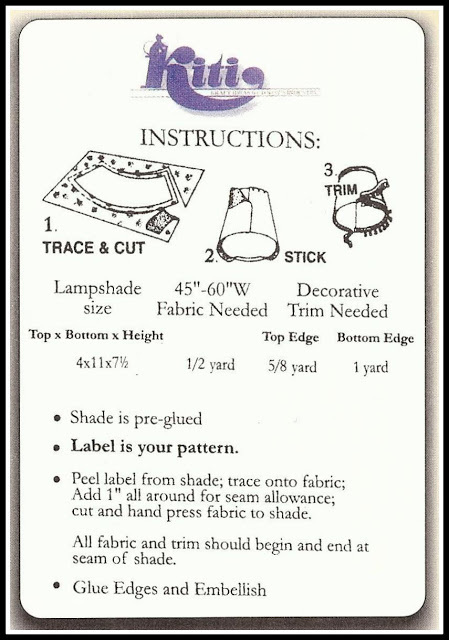 All of the instructions for the lamp shade came with it. It was a no brainer!! So I began to follow the instructions. I saved the wax paper that was around the lamp shade and traced it over my fabric! As you can see it is not perfectly straight. 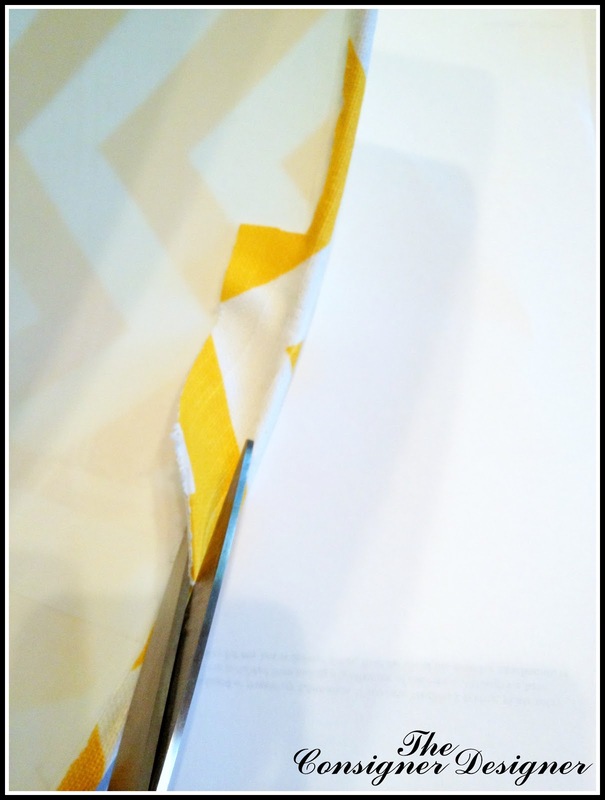 I started my fabric at the beginning of the seam of the shade and used my hand to press it smooth and adhere well. Then I glued down the edges using craft glue. I have often seen people use clothes pins to hold down the edges while it dries, but I didn’t have clothes pins, so I used what I had on hand. 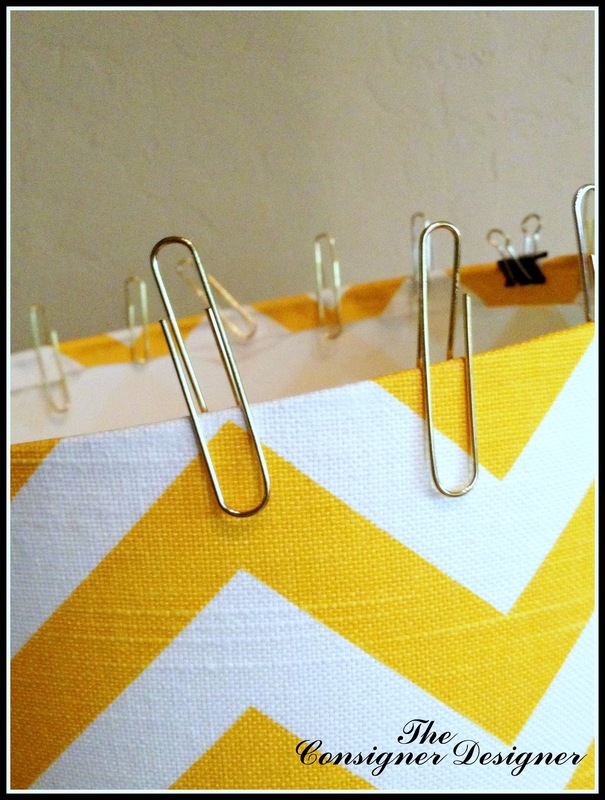 Paper clips! 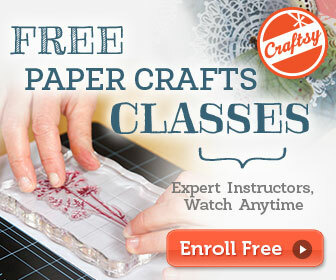 Once my craft glue dried, I cut the extra fabric out from the inside of the shade to give it a more polished appearance. I then ran a bead of craft glue around the raw edges and smoothed it with my fingers to help seal the fabric and keep it from fraying. 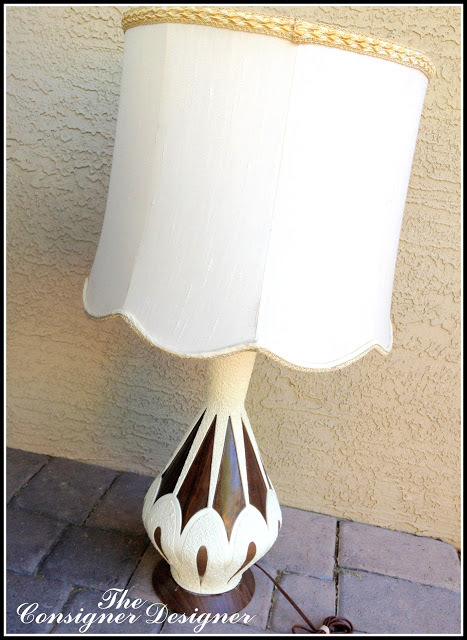 I finished by adding some decorative trim to help tie in the body of the lamp to the shade. Again, I used a bead of craft glue around the shade and slowly pressed it all away around the edges. 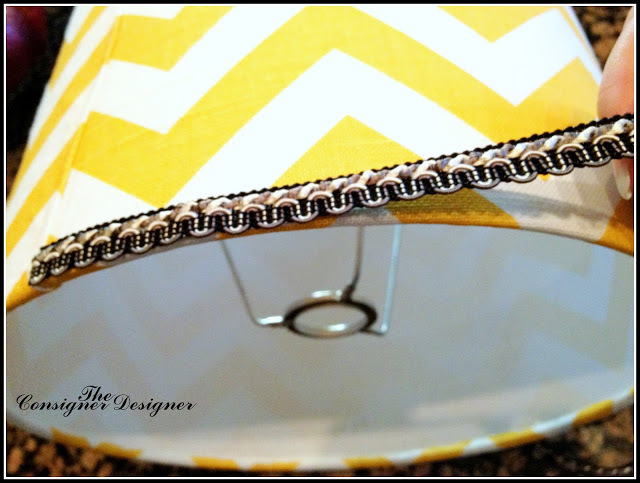 I made sure to start and stop at the seam of the lamp shade. I also applied a little of craft glue to the beginning and end of the trim to keep it from fraying over time. 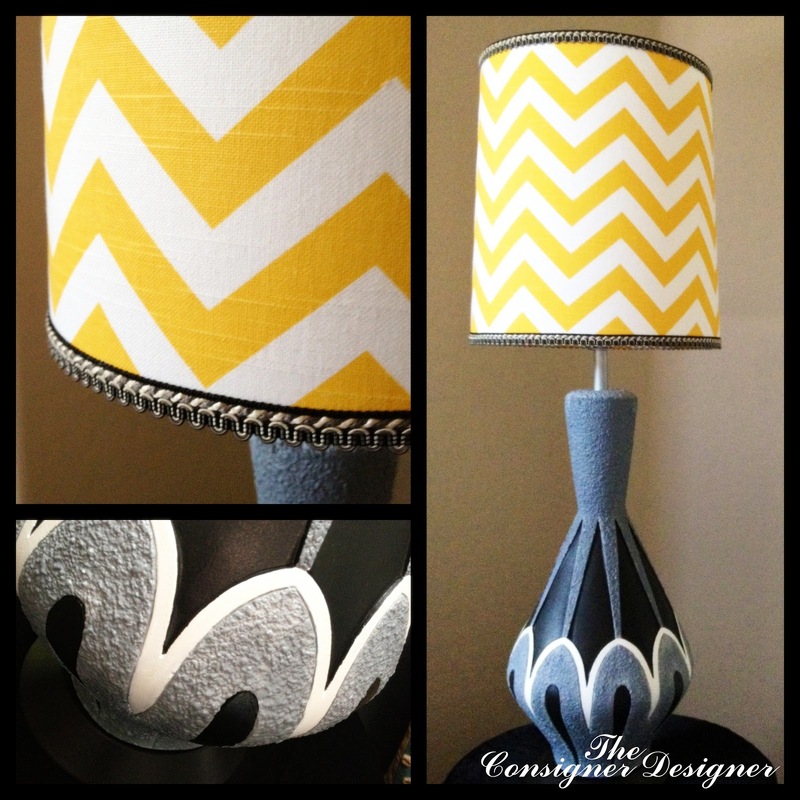 I love the way the trim repeats the pattern found in the body of the lamp! And that was all it took to give this little light a much needed make over! Where there once once dark, there is now light!